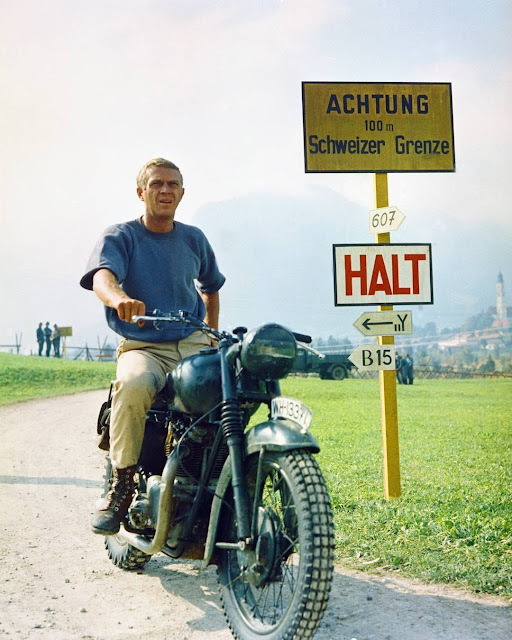 The Great Escape is a 1963 American World War II epic film that depicts an escape by British Commonwealth prisoners of war from a German POW camp. The film is based on Paul Brickhill’s 1950 book of the same name, a non-fiction first-hand account of the mass escape from Stalag Luft III in Sagan (now Żagań, Poland), in the province of Lower Silesia, Nazi Germany. A heavily fictionalized version of the escape is depicted in the film. 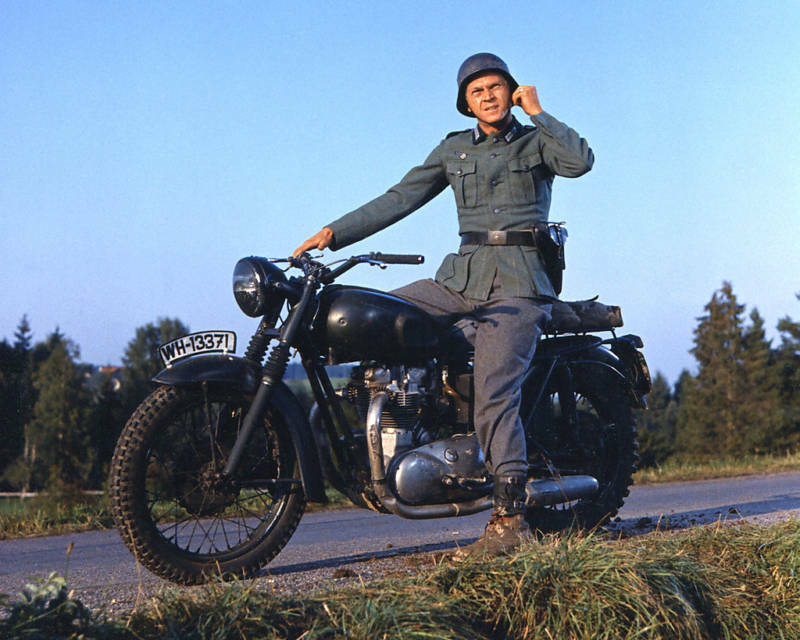 The film was produced and directed by John Sturges. 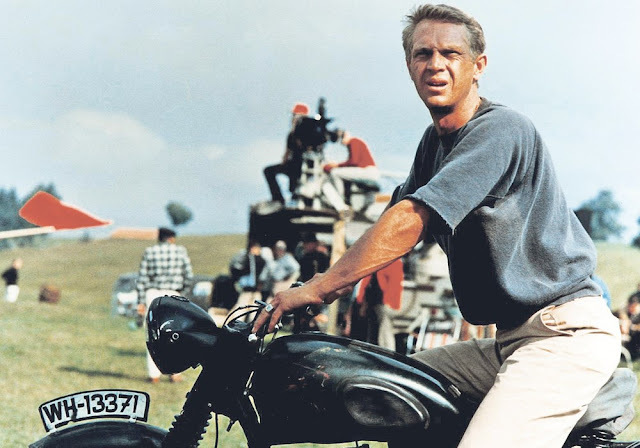 Steve McQueen stars in one of his most popular roles as American pilot Virgil Hilts aka ‘The Cooler King,’ named after the amount of time he spends in the ‘cooler’ after repeated escape attempts and run ins with the camp commandant. 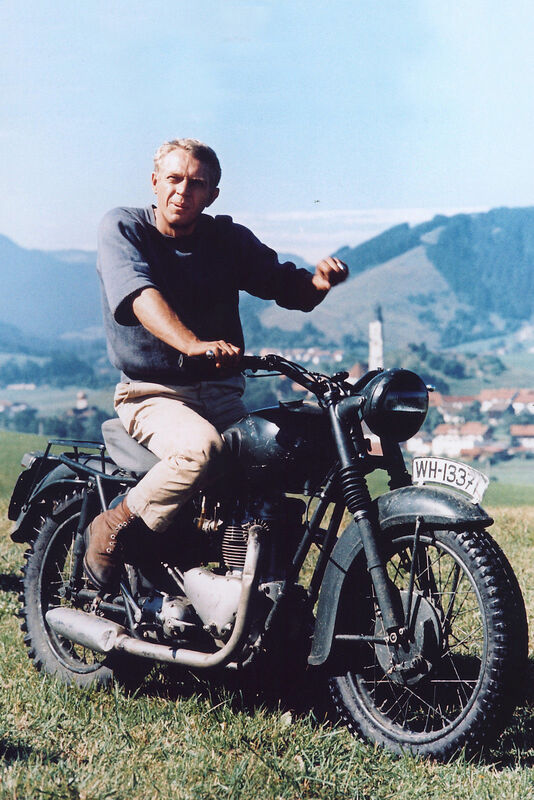 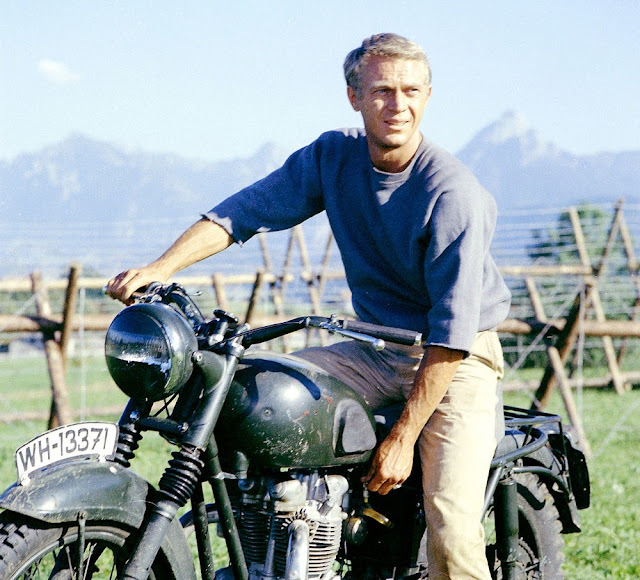 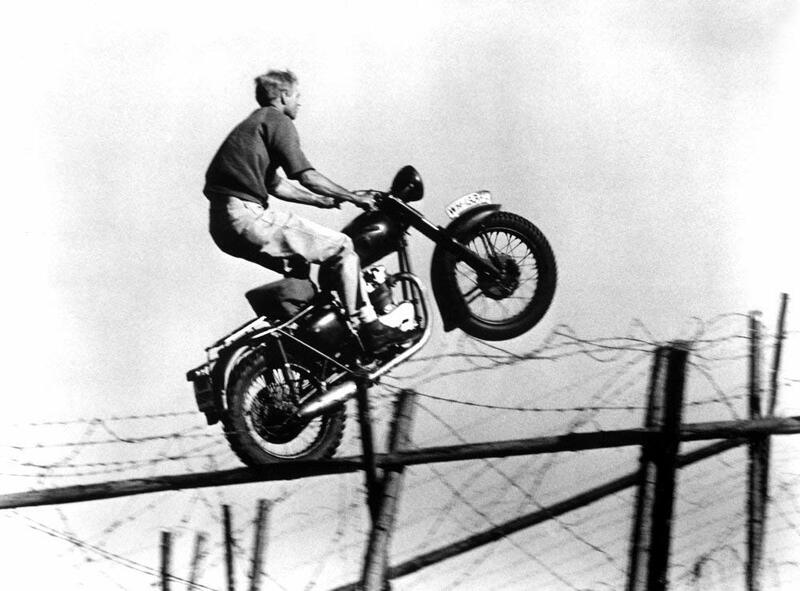 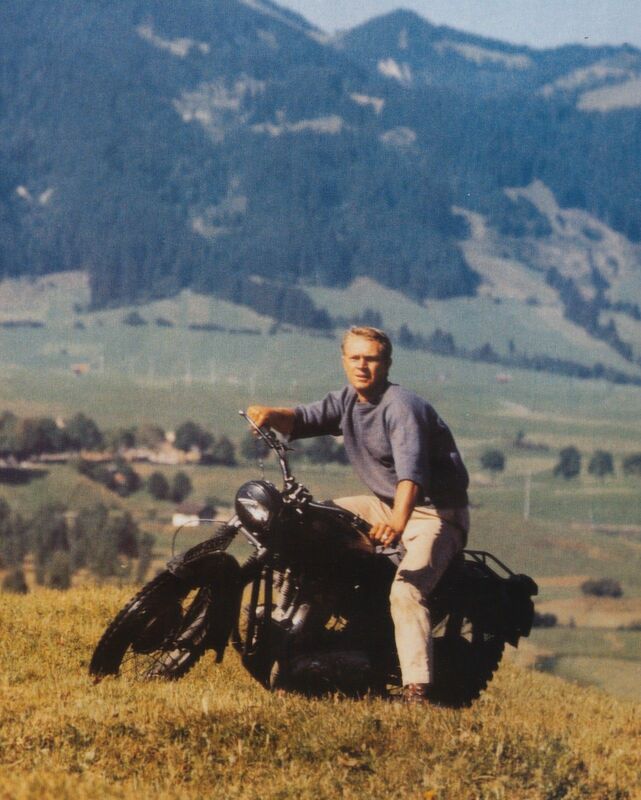 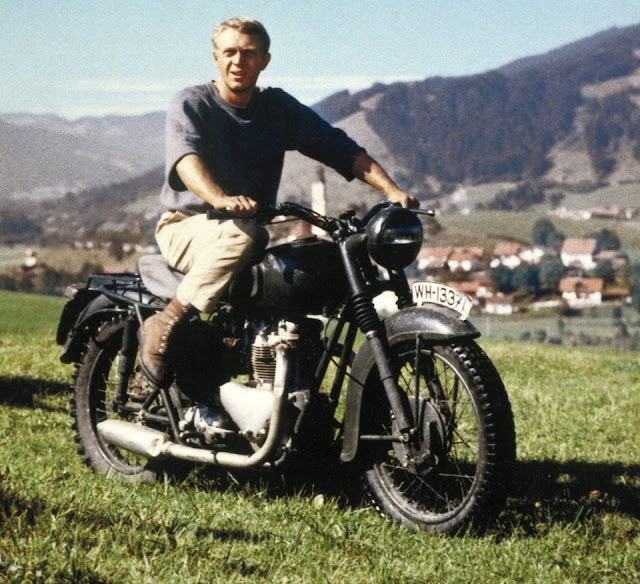 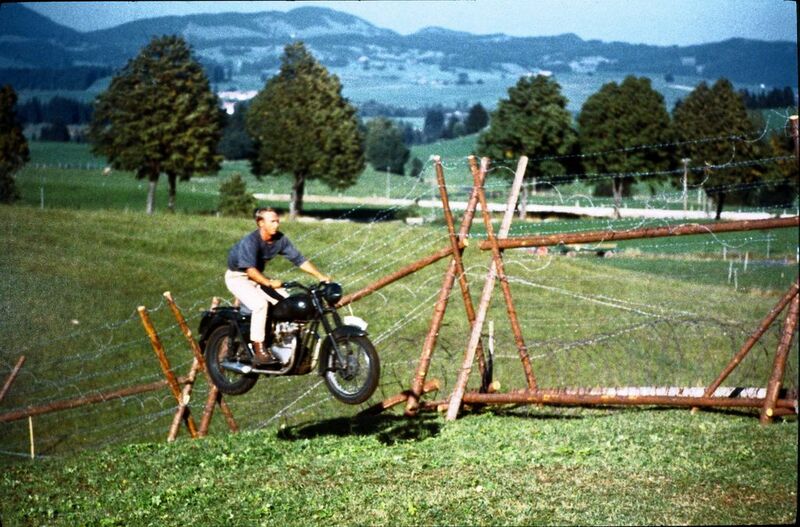 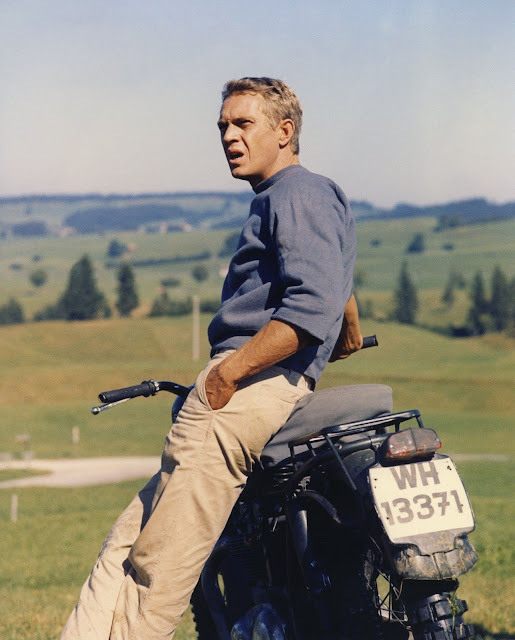 Steve McQueen performed all of his own motorcycle stunts in The Great Escape with the exception of his characters final jump over a 6ft (1.8m) barbed wire fence. 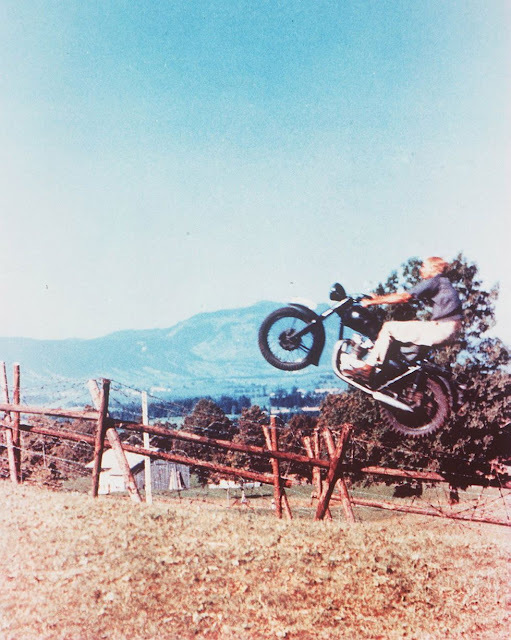 The final jump was performed by his stunt double, Bud Etkins. 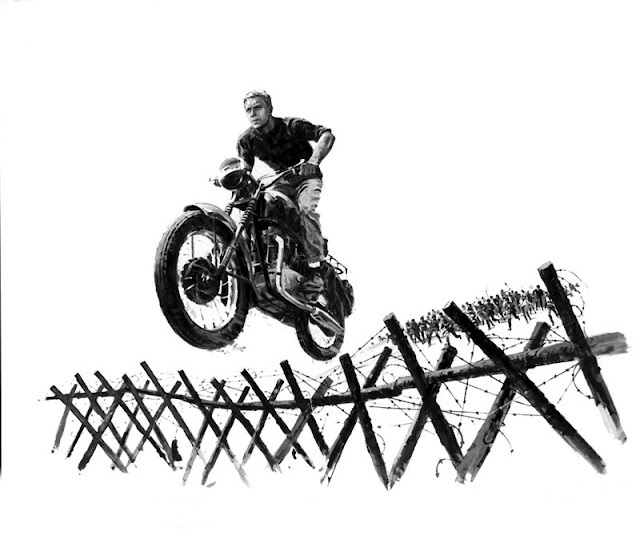 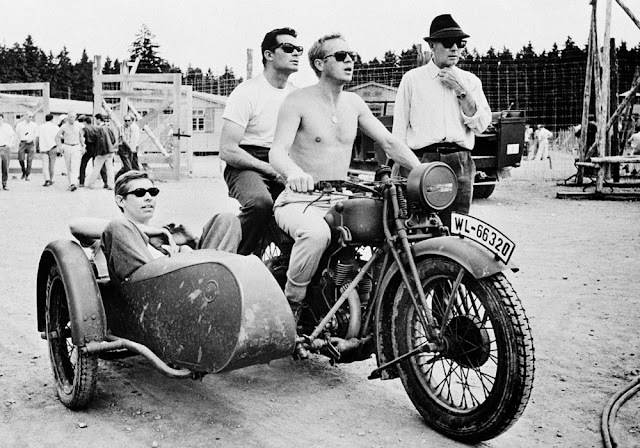 As for the chase sequences, the three racers – Tim Gibbes (the Australian moto-cross champion), Bud Etkins, and Steve McQueen – took turns chasing one another as German soldiers. The special effects manager worked out the final scene, where Steve has to get through the fence to escape to Switzerland. 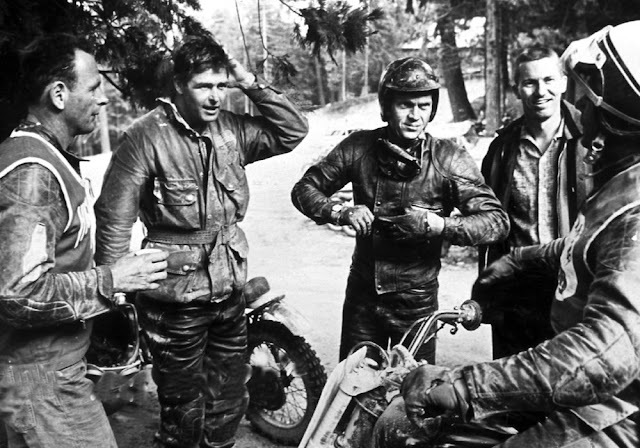 Bud, Tim, and Steve were left to figure out how to do the jump. 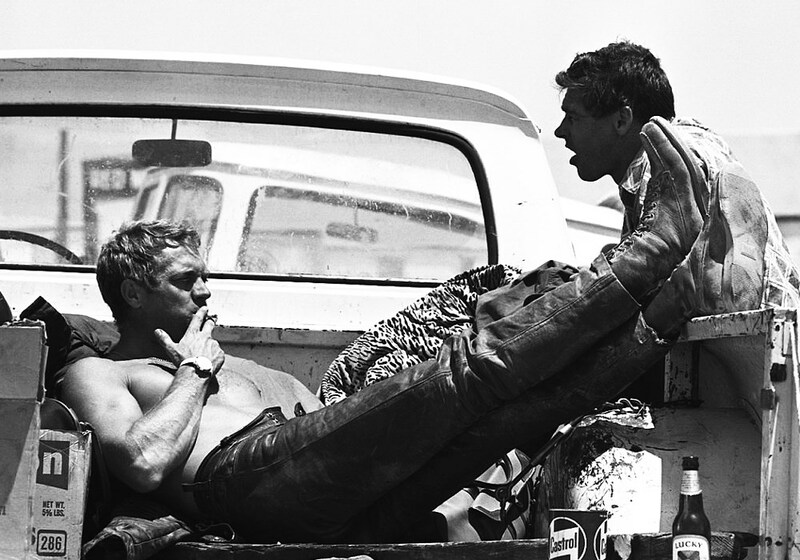 Not only did McQueen perform his own stunts during filming, but he also performed stunts for the films stuntmen themselves. 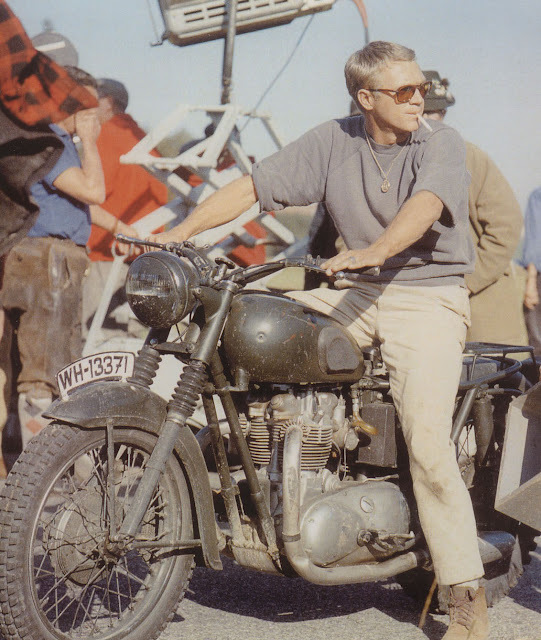 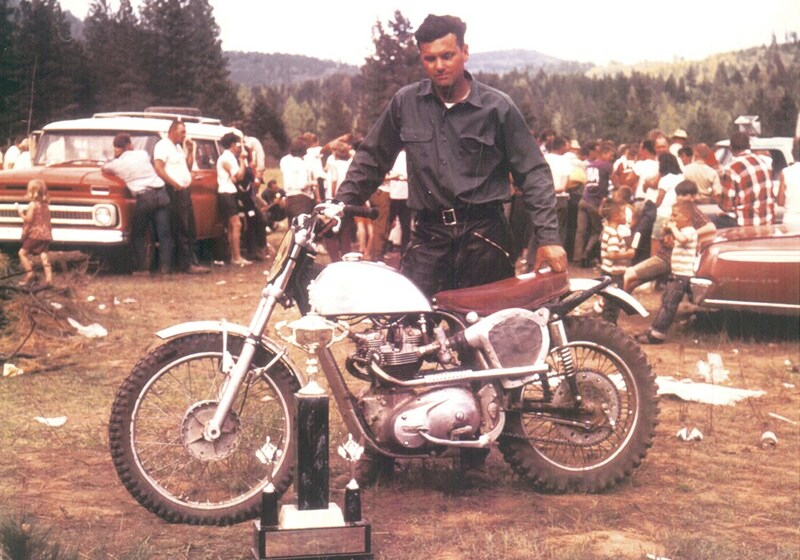 Before moving to California to pursue a career as an actor, McQueen got his start in the 1950s as a professional motorcycle racer in Long Island, NY. Due to his skill on a bike, during filming he kept outrunning the less skilled stuntmen who were supposed to be chasing him. 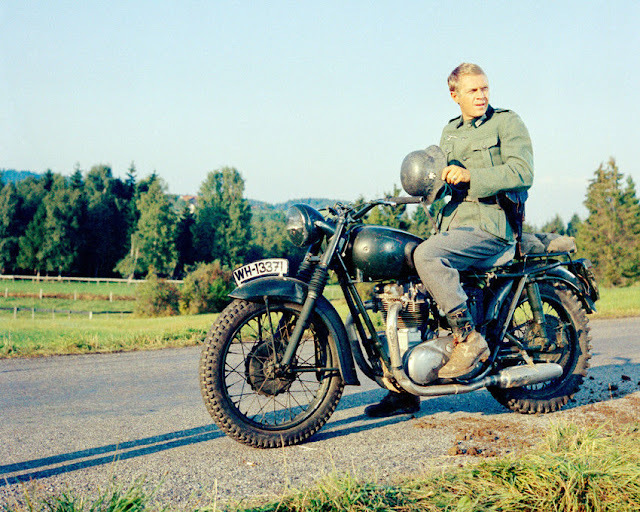 As a result, McQueen did his own riding as Virgil and then dressed as a German soldier and shot separate chase scenes. 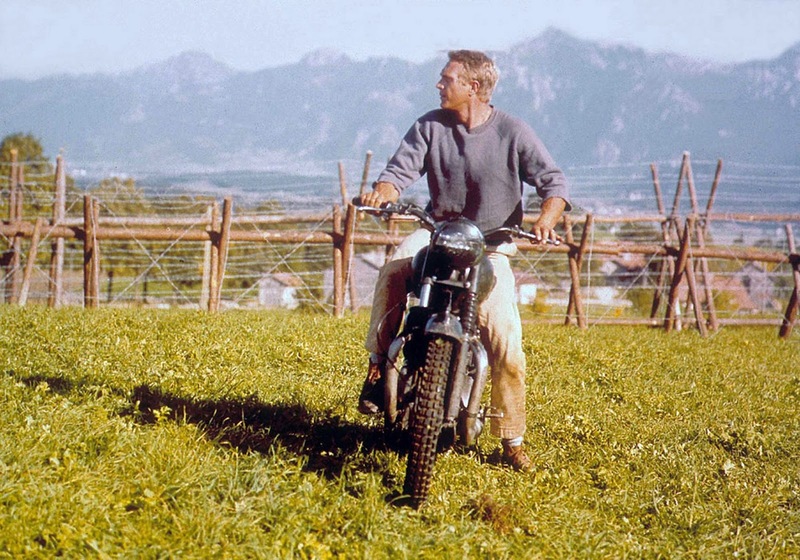 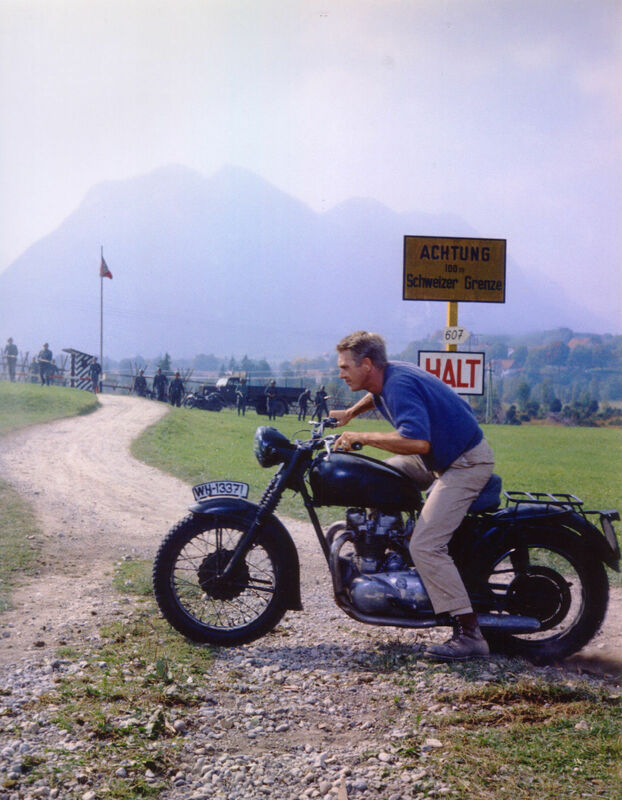 Thusly, all of the motorcycle scenes in The Great Escape effectively show McQueen chasing himself.